With a spate of public office elections scheduled in the country this year, findings from a study by a university professor may offer good advice for those planning to run in the polls — smiling could earn candidates more votes. His research covered six of the elections for the House of Representatives held between 1980 and 2017 — specifically, candidates in constituencies each with three to five seats for the 1980, 1983 and 1990 elections, and those in single-seat constituencies for the 2000, 2014 and 2017 elections. 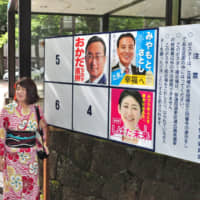 Asano collected the images of the posters of the some 6,000 people by taking pictures and obtaining official election documents from the National Diet Library. He found that the correlation was weaker for single-seat constituencies than for multiple-seat constituencies. For 464 first-time candidates in single-seat constituencies in the 2017 election, meanwhile, he found that the more candidates a constituency has, the more effect a smile seems to have in obtaining votes. No links were confirmed between smiles and votes acquired for constituencies with two or three candidates. For constituencies each with four or more candidates, however, the share of votes won by a candidate tends to be several percentage points higher if they earn a full 100 points on the smile scale, compared with a case of zero points, after statistical treatment. 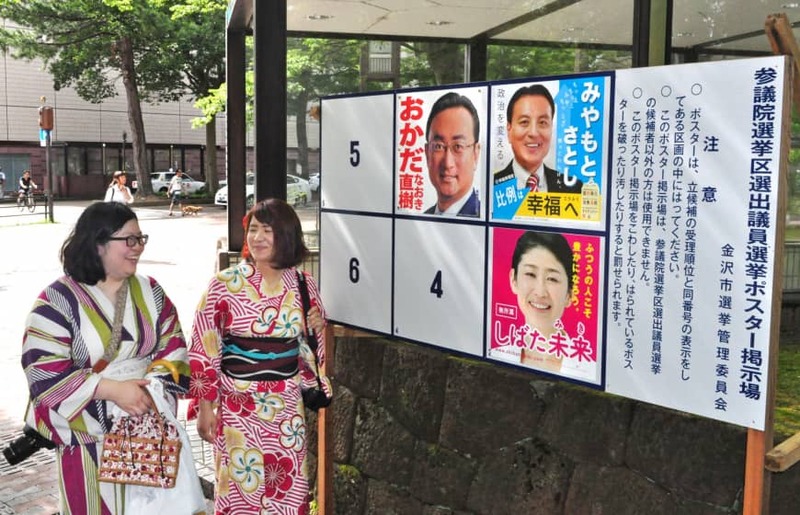 “In the situation that many candidates from various political parties are running, it’s very likely that how they look influences voting decisions,” Asano said.